Care For Your Printer So It Doesn’t Let You Down Right At The Wrong Time! The ink cartridges can dry out if you don’t use your printer a lot, so if you know you have a big print batch to do then it’s worth buying fresh ink cartridges, or refilling your existing ones. You can find great deals online if you are buying new, and don’t feel cornered into buying brand names – generic ones will perform just as well. Dry ink cartridges can cause damage to your printer, so it’s better to take them out altogether if you know you won’t be using your printer for some time, or the alternative is to print something regularly so they don’t dry up. The print heads will need a gentle clean every now and again so that no blockages occur. Take the cartridge out and wipe clean the printer nozzles really carefully so as not to damage the printer. Next, give the whole printer a good clean with a damp cloth – this will help to remove dust and dirt from the nooks and crannies. Run the print alignment function every now and again to ensure that the printer is working as it should be. If you have any problems with your printer, always take it to a trained engineer who can diagnose the problem and, more than likely, fix it up. We all know the frustration of a paper jam! It can be really tempting to yank at the paper in a fit of rage, but this will certainly cause more harm than good. Take a deep breath, walk away, and go back to the printer when you are a little calmer. Coax the paper out carefully, making sure no bits of paper tear off and get stuck in the printer. Paper is far easier to remove when it’s all in one piece, than when it is torn up into shreds. When you are not using your printer it’s a really good idea to switch it off at the wall. Not only will it not be using up electricity on standby, it will also have a chance for a little break between jobs. 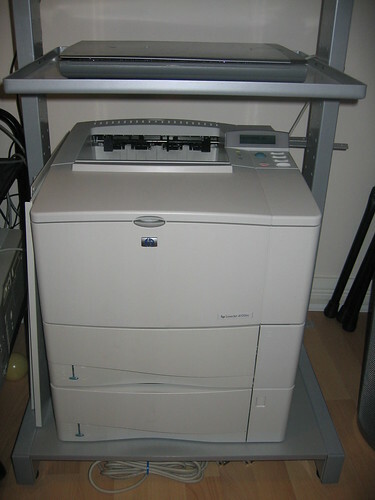 Treated in the correct manner, a good quality printer should be able to service you for several years to come. So don’t take it for granted and leave it in the corner unattended – give it a little TLC and it will pay you back in dividends! Jeff Johnson, today’s featured writer, works for Glenmore Printing & Imaging, a well-known company providing printing services in Vancouver. 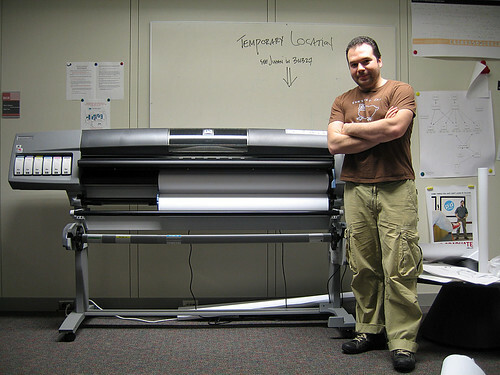 He is a hard-working employee and strives to deliver quality printing services to his customers.